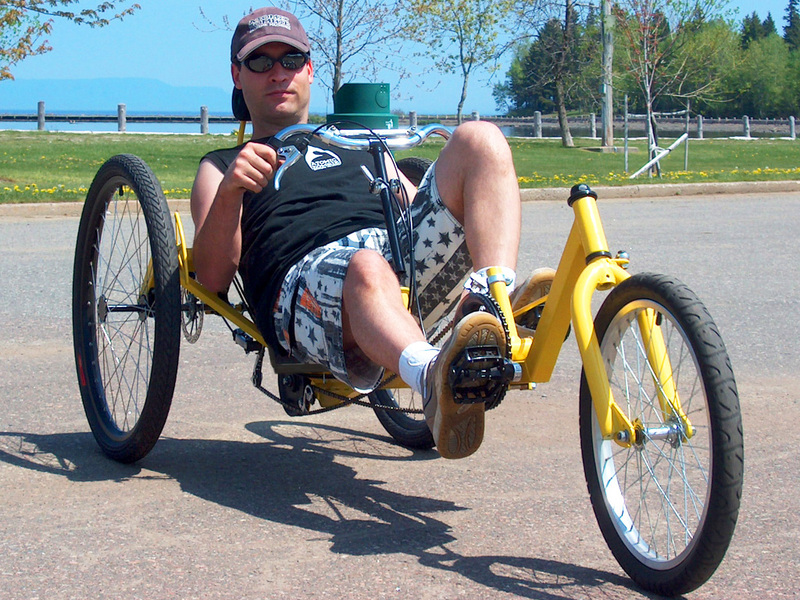 Build Your Own Delta LowRacer Recumbent Trike! 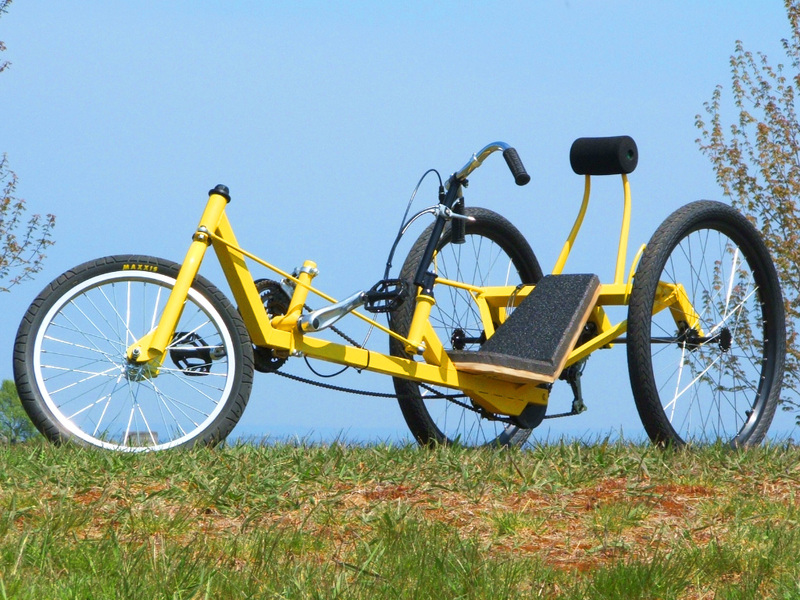 The DeltaWolf Recumbent LowRacer Trike is a fun and fast ride that cheats the wind with a comfortable and aerodynamic seating position. With full sized 26 inch rear wheels and 36 speeds, this trike is a real speed demon that can leave upright bikes in the dust. 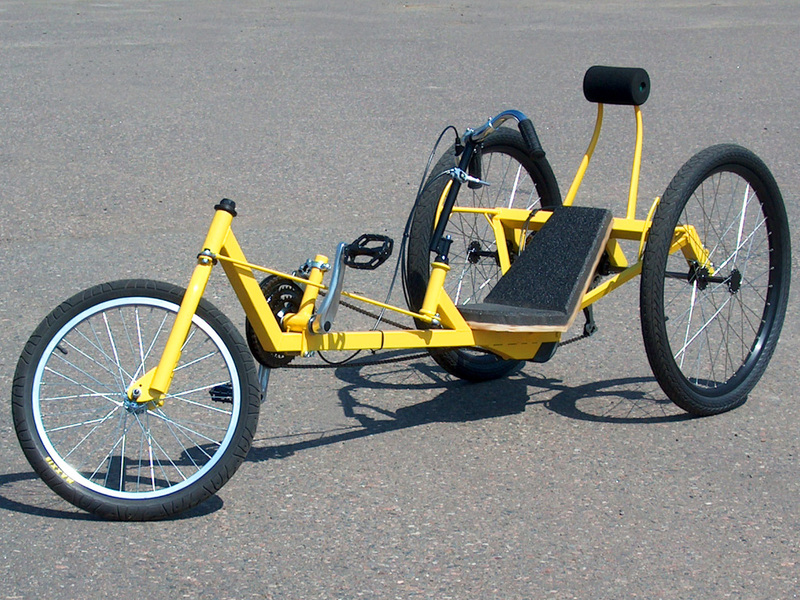 Placing the center of gravity very low, this recumbent racer can speed into corners without slowing down, and offers very responsive handling for city riding. 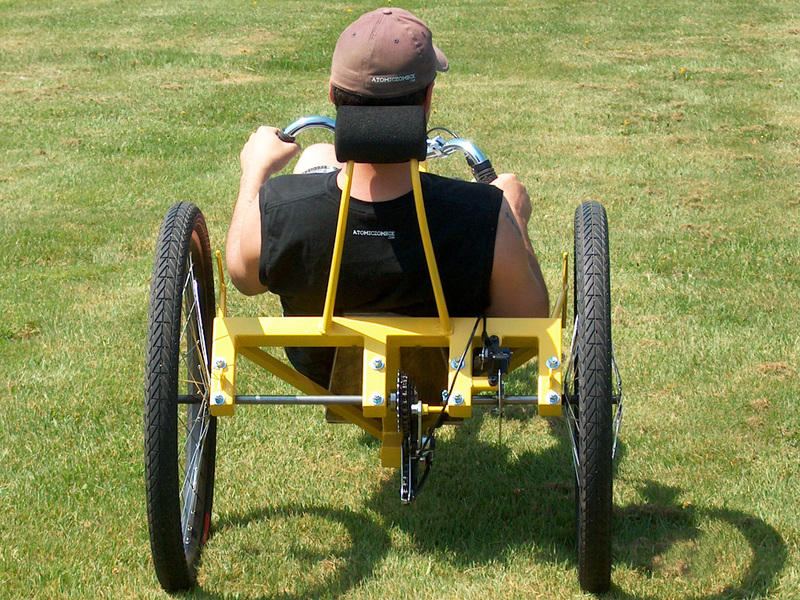 A Delta Trike has two wheels in the back, and one wheel up front. 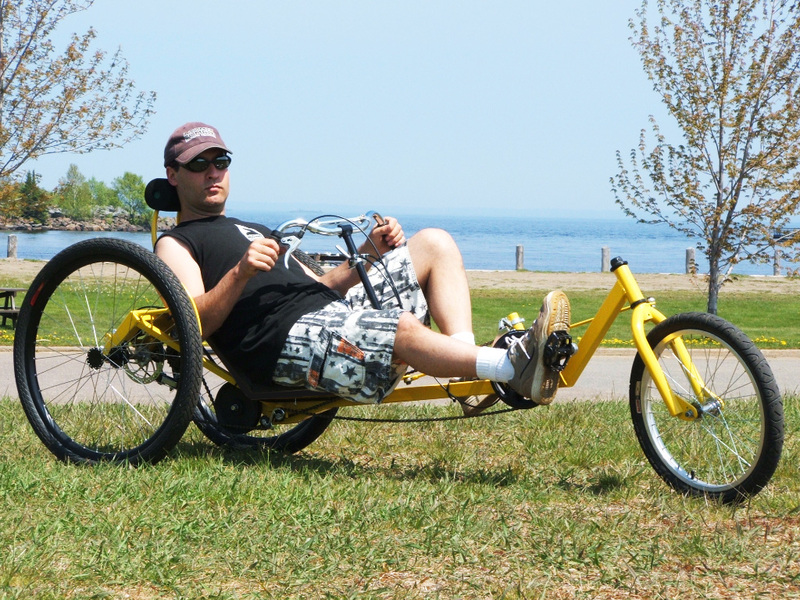 The DeltaWolf DIY Recumbent Trike places the rider between the rear wheels for a more compact and aerodynamic position, which reduces frame weight and offers an advantage in the wind. You Can Build a DIY Racing Trike With Minimal Tools. We design our plans so that anyone with a desire to build can make their own great looking DIY Delta Racing Trike. Every single step of the DIY Plan is shown in great detail, and the plans assume you have only the basic tools such as a hand drill, angle grinder, and any basic welder. Most of the components required can be salvaged from old bicycles or purchased at a bike shop on a limited budget. Common square steel tube is used in the frame. Our DIY Bike and Trike Plans take you through the entire build one step at a time with highly detailed photos and text. Everything is shown in photos, so you don't have to have any previous bike building experience in order to build your own trike. Push Your Organic Engine to its Limits on This Trike. On an upright bike, the most power you can deliver is by standing on the pedals, which only equals your body weight. 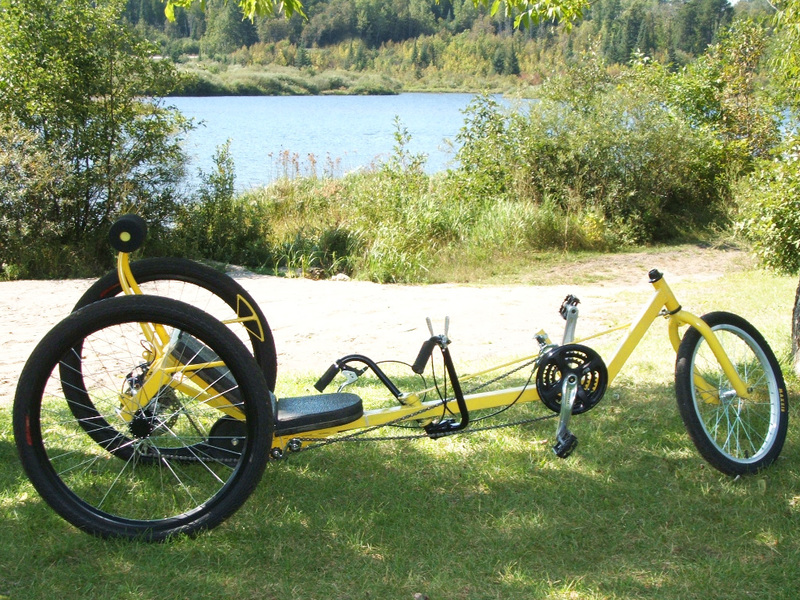 On a recumbent lowracer, you can press much more energy directly into the cranks, much like working out on a leg press. Add this efficient energy delivery system to the aerodynamic advantage, and you have a seriously fast trike that will put you ahead of the pack. Of course, recumbent seating is much more comfortable as well! The square tube frame is easy to cut and weld using only an angle grinder and any basic welding unit. During the build, you can easily modify the frame to suit your own requirements, using the components you already have on hand. High Performance on a Minimal Budget. This DIY Racing Trike is a real looker, and you may find it difficult to convince your friends that you built it in a few weekends on a shoestring budget. Like anything home built, you can recycle junk you have on hand, or purchase only the best new components. Either way, the end result will be a fast and cool looking Delta lowracer that you built yourself. Choose wheels and tires that suit your riding terrain. Soft balloon tires for rough country roads, or racing slicks for pavement. 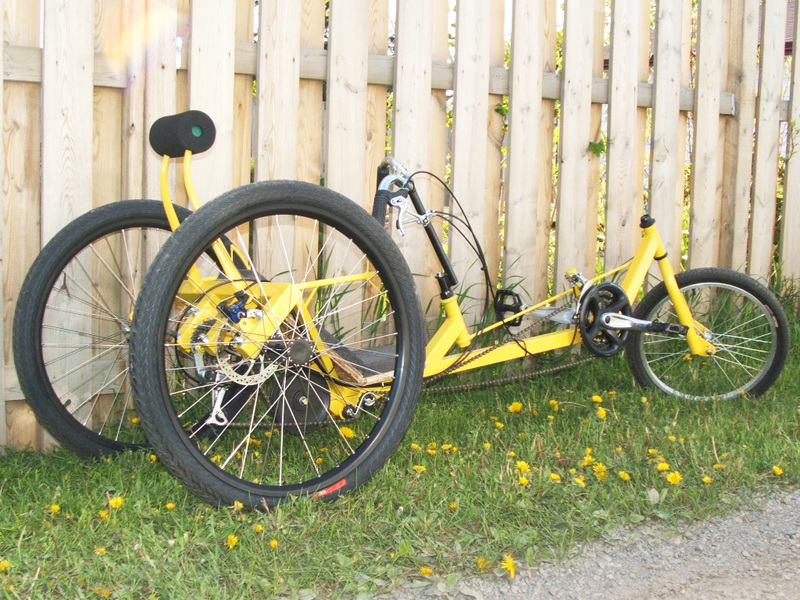 The DIY trike is built in stages so that the end result is exactly what you want. You can easily modify the angles of the frame to adjust seating position, steering attitude, or to add your own cool mods for a completely unique delta lowracing trike. Ride For Hours on This Comfortable Trike. Those who make the switch from upright to recumbent often wonder how they managed to ride any length of time on the small painful upright seats. Your entire body is seated in a natural and comfortable position on this trike, and you can enjoy the view without straining to hold up your head. Ride all day long, and with perfect handling, you can even have one hand free to grab some refreshments on that long commute. To make this DIY Delta Trike adjust to riders of all sizes, the cranks can be moved to any position along the frame with this easy to adjust sliding bottom bracket. Adjust the crank position in minutes to suit anyone using only a wrench. 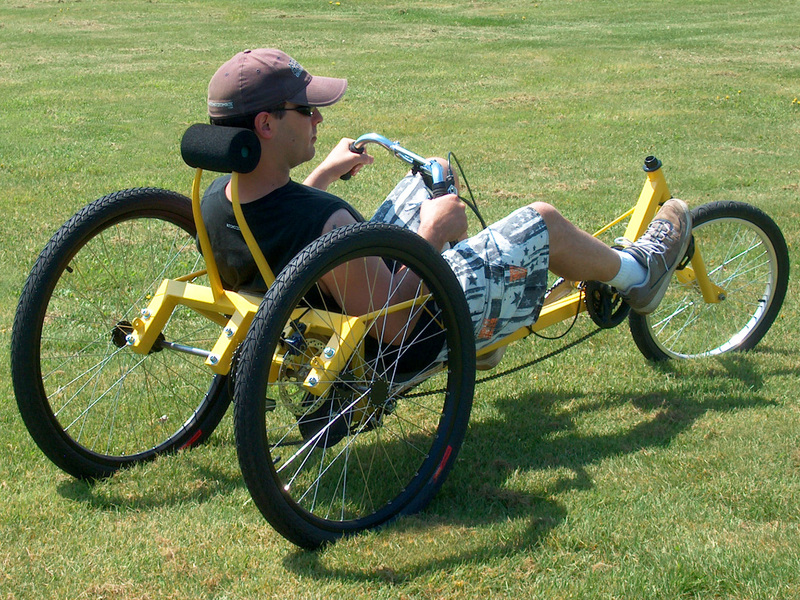 You Can Build This Trike With Under Seat Steering. A simple modification to the pilot's steering system placed the handlebars under the seat instead of over your knees. Although both steering positions are equally as comfortable, under seat steering makes it easier to experiment with a full or partial fairing. With a full fairing, you want to climb into the vehicle from the top, so under seat steering might be a better option for your experimental DIY Delta VeloMobile. All of the components used in the transmission can be taken from an old bicycles or found at the hardware store. The chain is routed under the seat using a standard v-belt pulley, and the shifting system is the same as on any regular bicycle. Add as many speeds as you want. Add a Power Assist Motor to Make a DIY VeloCar. There is plenty of room behind the seat to add a luggage rack or even a battery pack and electric power assist motor. Even a 500 watt electric motor will allow you to keep up to city traffic and to flatten any hill with extreme ease. A motor can be adapted to the front wheel in the form of a hubmotor kit, or to the rear axle using a sprocket and some type of belt or chain transmission. Add a motor and you can leave your car in the driveway more often. There are no expensive machined hubs require to make your own DIY delta trike. This plan shows you how to easily make your own hubs using nothing more than a drill and a few dollars in sheet metal. Making your own hub wheels is easy and rewarding. Ready to Race or Make That Long Commute. Delta trikes are a real joy to ride no matter what your riding style may be. Pass your upright buddies, fly down a hill, or travel across the country in pure comfort. The handling on this DIY trike is amazing, able to turn around in half the width of a city street, or navigate around objects with pure agility. With a rear disc brake, and front caliper brake, you will have plenty of stopping power for those high speed chases and downhill runs. Are you ready to rule the streets on your own DIY Delta Racing Trike? Like all of our DIY plans, you can easily add your own mods to create your own unique delta racing trike. Roll out of your workshop on a fast, low slung delta lowracer of your own design!